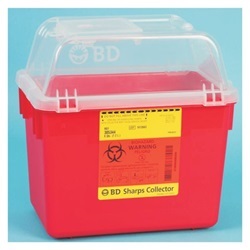 Red 8 quart multi-purpose sharps container that measures 10.07" high, 9.84" wide, and 7.09" deep. 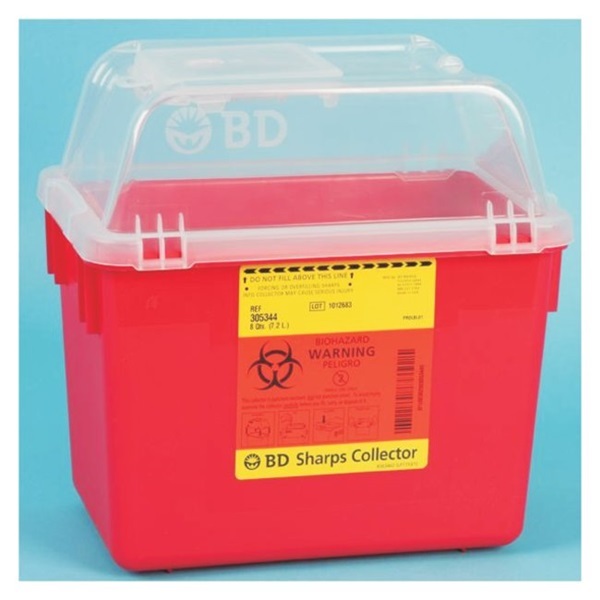 Plastic container has non-locking, funnel lid. Manufactured by BD.